We are so grateful to the following sponsors of Full-Time Freedom Week! 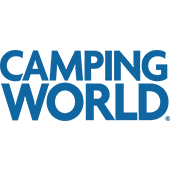 Camping World is your destination for everything RV. They are the nation's largest and most trusted retailer of RVs, RV parts, and outdoor gear. With over 130 locations, you’re never far from Camping World, no matter where your adventures take you. Winnebago Industries, Inc. is a leading U.S. manufacturer of outdoor lifestyle products under the Winnebago, Grand Design and Chris-Craft brands, which are used primarily in leisure travel and outdoor recreation activities. The Company builds quality motorhomes, travel trailers, fifth wheel products and boats. Wholesale Warranties is the premier provider of RV Extended Service Contracts, commonly referred to as RV Extended Warranties. They specialize in selling established and fully insured service contracts for the RV community, and have ten years of experience in this expanding industry. Battle Born Batteries are the height of lithium ion technology. They only use LiFePO4 (Lithium Iron Phosphate) in their packs, this is the safest and most reliable chemistry of lithium ion available. They outperform and outlast all other batteries in their class and below their class (lookin’ at you, lead acid batteries). The best part? They’re easy on the planet and your wallet. 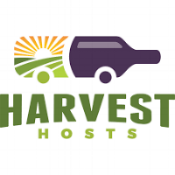 Harvest Hosts is a membership program that provides access to a network of wineries, farms, breweries, museums and other unique attractions that invite self-contained RVers to visit and stay overnight. For a yearly membership fee, Harvest Hosts’ members are invited to stay at hundreds of interesting locations around North America, and experience new opportunities to explore and enjoy the RVing lifestyle. The company’s goal is to provide meaningful experiences for RVers and Hosts alike. Camp Addict is the first 'go-to', one-stop resource website out there for getting answers about a product and recommendations on which product would be best for each RVer’s unique situation. Camp Addict is owned and operated by two single full-time RV'ers, Kelly Beasley and Marshall Wendler. The Escapees RV Club is one of the oldest, largest and most loved RV membership organizations in the world. Our mission is to provide a total support network for all RVers. Xscapers is a community within Escapees RV Club created for working-aged RVers. Unique Camping + Marine is one of the leading manufacturers of safe, natural cleaning products for RVs and Marines – primarily holding tank treatments. Their products are inexpensive, safe, natural and most of all EFFECTIVE! RVillage is a free to use platform which aims to connect RVers and RV dreamers not only with their passion for the nomadic lifestyle, but also with each other - no matter where they roam. Using smart geolocation and location based notification technologies, RVers can easily connect with each other where they are, where they are going, and along their way. Our goal is to be a provider of social and digital tools to improve the RV lifestyle and travel experience for anyone interested in this lifestyle. We have built a trusted canvas for individuals, couples, families, and even businesses in the RV community to share information, ideas and their collective experiences with each other. RVillage is built by RVers for RVers. The RVillage platform is the internet’s largest & most active dedicated social network of RVers, RV enthusiasts, RV dreamers, and nomadic travelers. RVillage consists of hundreds of thousands of RVers who share their stories and information with each other, creating a community based on freely given peer to peer information and vast knowledge of their lifestyle. Fulltime Families provides a community for families who full-time RV. We help full time RV families connect with other families and save money. The world's only permanent jack pad! RV SnapPads not only improve the look and feel of your rig, but eliminate all of your major leveling hassles. TechnoRV is owned and operated by full-time RVers who only sell what they use and know to be great products. When you buy RV technology from TechnoRV, you get the TechnoRV Learning Series which is detailed instructions and videos to help you with the setup and use of your new product. You also get phone, chat and email support for any product you buy from them. They have tons of information available on their website to help you with your purchasing decision and are always available to answer any questions you may have. Families everywhere want to rent an RV and taste the open road for themselves. Meanwhile, the average family’s RV will sit unused for approximately 90% of the year. RVShare brings RV renters and RV owners together. If you want the comforts of home while getting up close and personal with the beautiful world around you, an RV rental is the best place to start. Renters can use the filters to find the RV that perfectly fits what they are looking for. Whether that be a pet-friendly Class C for the family, or a Pop-Up Camper for a romantic getaway, we’ve got you covered. Or, if you’re an RV owner, RVShare uses the best, most intuitive platform and tools to start making real money from renting your RV. PROTENG® is presenting THIA to RVers both as protection from fires and a business opportunity. THIA is Tube + Heat = Instant Action which is a fully automatic and self-contained fire suppression device that can be custom-installed to your RVs in areas at the highest risk of fire. It leaves no residue and is non-corrosive; and is unique in its patented delivery system. It uses a liquid gas that puts out fires in milliseconds. PROTENG® is seeking individuals and/or couples to become independent contractors for sales and installations. This technology is brand new to the United States and we are offering the tools and training to allow our new teams to present seminars and demonstrations at various RV rallies across the country with the intent to sell. In addition to commission, certain expenses will be covered, and we would love to discuss the opportunity with those who can manage an interactive presentation and sell! Better For Your is a family-owned ﻿﻿company founded in 2015. You can find their mission in the name; to provide drinkware products that are ﻿﻿﻿﻿﻿﻿﻿﻿﻿﻿Better ﻿﻿For Your﻿﻿﻿﻿﻿﻿﻿﻿﻿﻿ health, your planet, your wallet....the list goes on! Being driven by 'Better' means they strive to constantly improve little-by-little, day-by-day. From the beginning they've been providing high quality products that are designed and manufactured to last a lifetime. Every Better For Your product is also 100% plastic free, and built to withstand the tests that are thrown their way. As the leading RV Water Filter Experts, RV Water Filter Store has been committed to helping and educating RVers, Tiny-Homeowners, and Boaters in need of clean, safe drinking water since 1992. Visit their online store for over 500 products and educational videos. Call them anytime to find how you can protect your family, pets, and RV (inside and out... tanks, pipes and exterior) from harmful or just plain yucky water on the road.